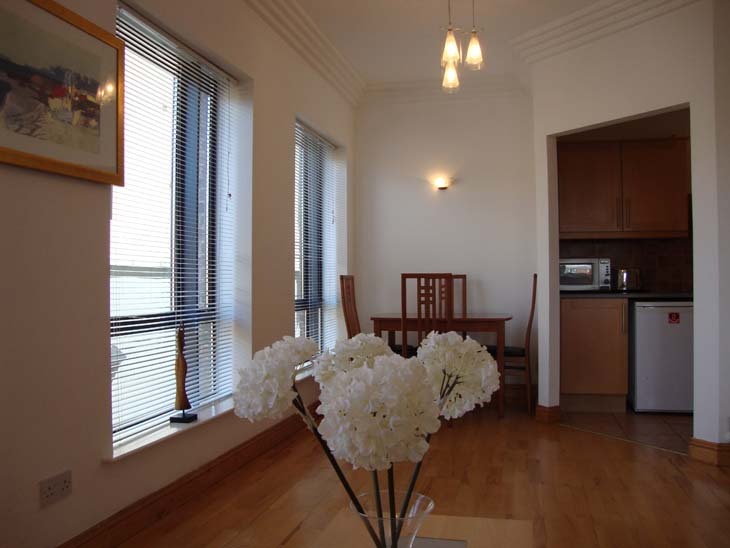 Apartment 23 is a smart city apartment in the IFSC in excellent walk in condition to include designated underground parking space. 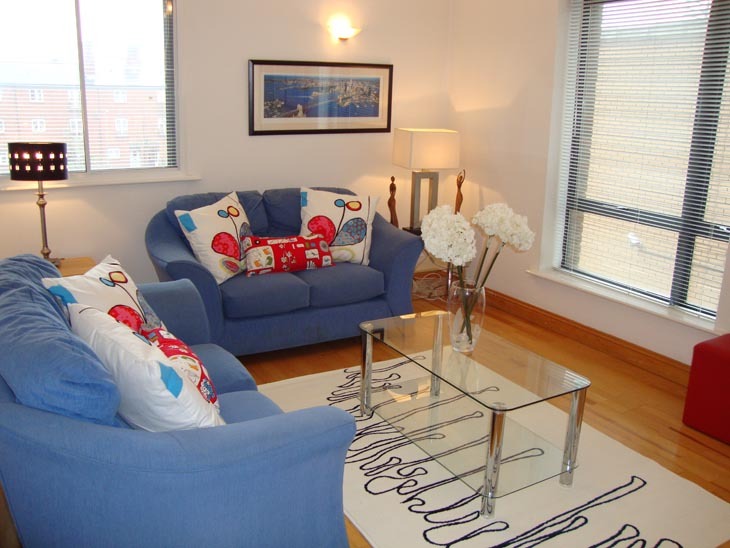 Located in the heart of the IFSC overlooking Custom House Square, Beresford House is opposite the Mayor Street Luas stop. 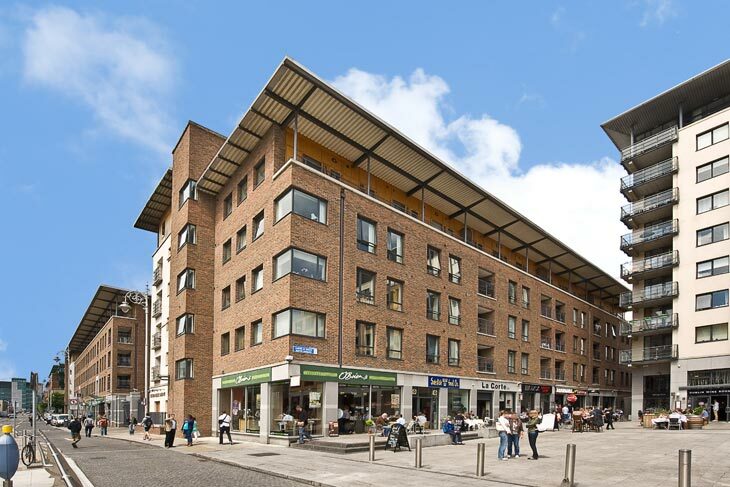 The block door entrance is directly opposite AIB bank and Munchies Café & Sandwich Bar. Built by John Paul Construction and designed by Anthony Reddy & Associates. 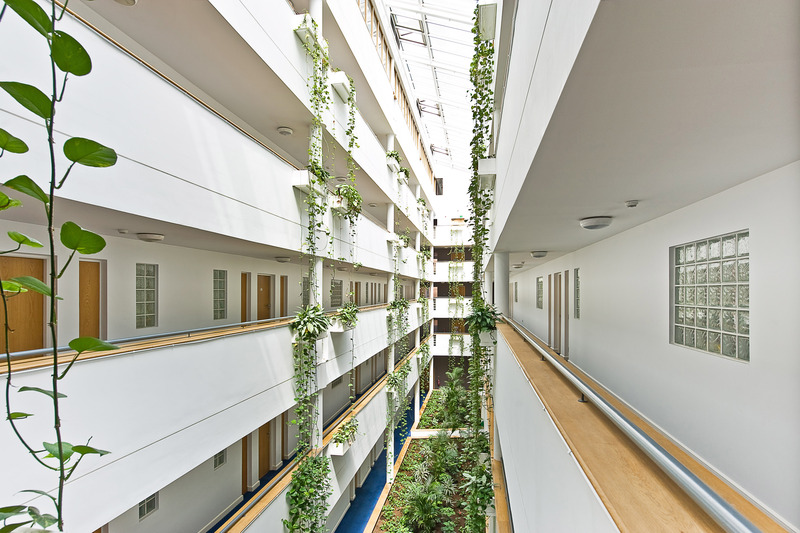 The apartment is located at the back of the Apartment Block and is extremely quiet. c.57 sq.m. / 615 sq.ft. L-shaped entrance hall with beech wood timber floor, thermostat control, hotpress and storage press, alarm panel, cloakroom & hotpress, telephone point and intercom to main door. Really big living & dining area with height ceilings and no less than 4 big windows making this room very bright, not your normally small apartment living space. 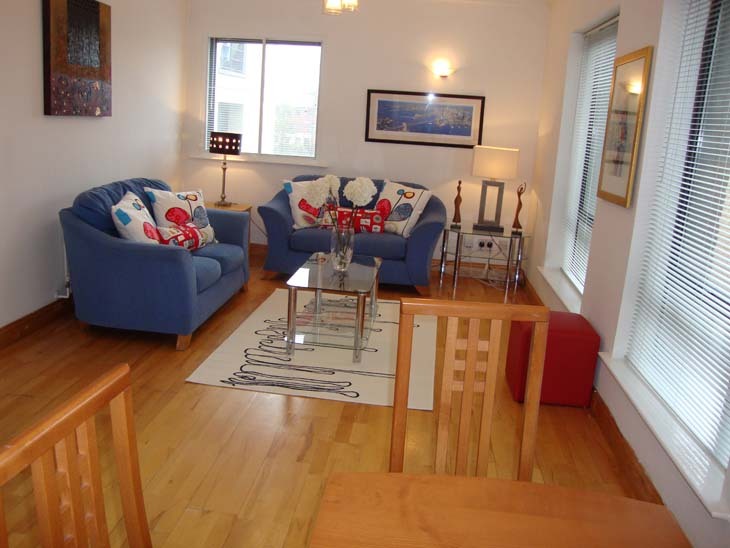 This bright generous room makes city living ideal, coving, timber floor, couches, lockers, lamps, coffee table, dining table and chairs included. Gallery style kitchen with maple shaker units with Siemens stainless steel cooker, hob and extractor fan, hoover, fridge, Indesit washer / dryer, Sharp microwave, wall and floor tiling. White suite comprising WC, WHB, bath and shower screen, pumped shower, partial wall and floor tiling, mirror and shaving lamp. 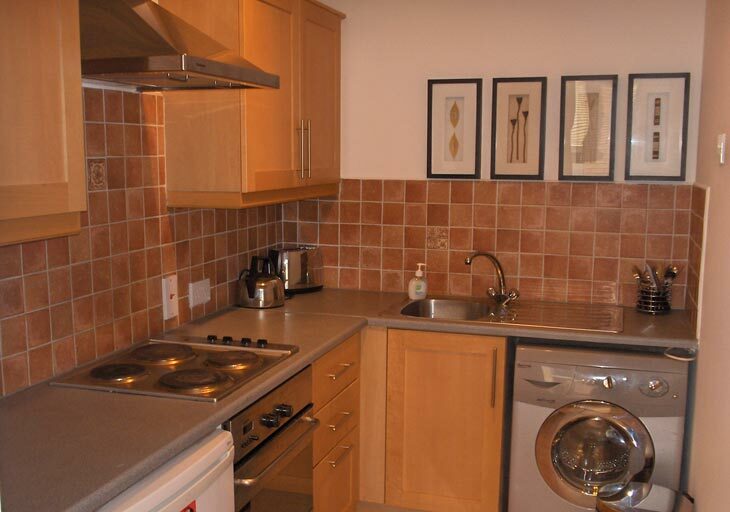 Large double bedroom, beech wood floor, double bed and locker included, fitted wardrobe, high ceiling. 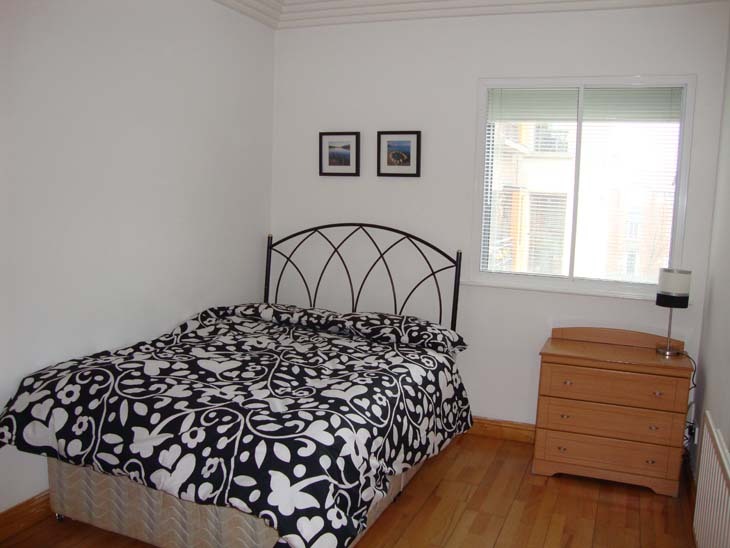 Double bedroom, beech wood floor, double bed and locker included, fitted wardrobe, high ceiling. Easy to find, beside the Mayor Street Luas stop in the centre of the IFSC, Beresford House entrance door is beside O’Briens Sandwich Café on Custom House Square. Parking Space: Space 261 in the basement. 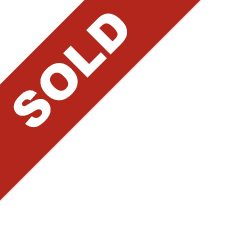 Viewing: By appointment - this property is vacant so we are flexible and we will accommodate you on viewing times.